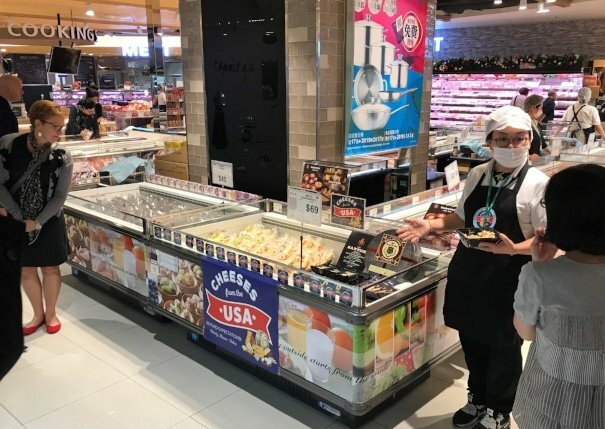 MMPA Member Cheri Chapin checks out a U.S. cheese display at Aeon supermarket in Hong Kong. Photo credit: USDEC. To sell more dairy products beyond our borders is the essence of why the U.S. Dairy Export Council (USDEC) was developed twenty-three years ago and recently four U.S. dairy producers doubled-down on that mission. 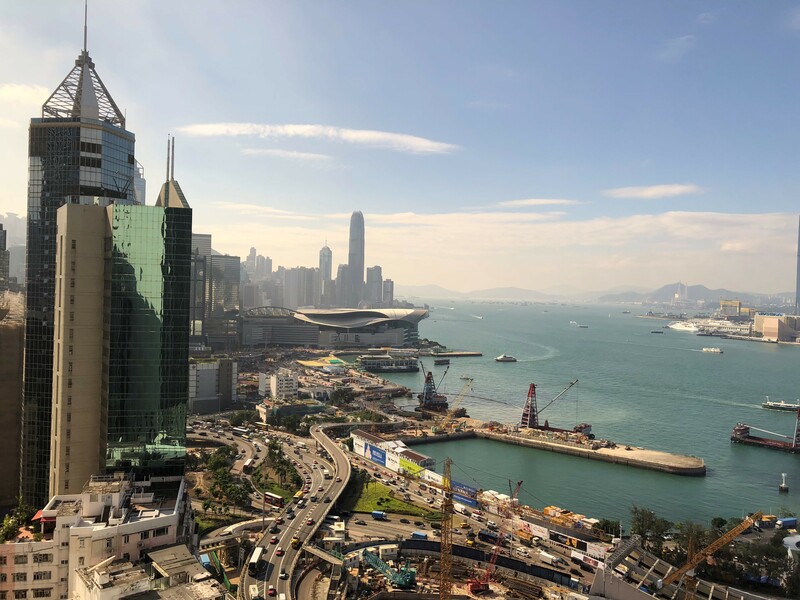 Marilyn Hershey of Pennsylvania, Brad Scott of California, Lowell Meuller of Nebraska and MMPA member, Cheri Chapin of Remus, Michigan, recently left their farming operations and travelled to Japan and Hong Kong to share the U.S. dairy export vision. “While the USDEC Governance Mission to Tokyo and Hong Kong was exhausting, it was also exhilarating. We went to listen and learn, but we also taught and shared; it was a very reciprocal trip,” stated Chapin, who milks 700 cows with her family in Mecosta County. Cheese consumption in the Japan compared to that of U.S. is strikingly lower. Chapin explained that Tokyo is a city of 37.5 million, 23 times bigger than Chicago, while Hong Kong is home to 7.2 million people. But looking at individual consumption, even as the world’s largest importer of cheese, Japan is behind the U.S. with a per capita consumption of 5.5 pounds. In the U.S. per capita consumption is more than 36 pounds of cheese. “That means there’s a lot of room for growth! Hong Kong’s imports of cheese were up sixteen percent last year compared to 2016, which is great, but we can do better,” Chapin explained. Chapin noted the people of Japan and Hong Kong have shown an increased desire for artisanal and American style cheeses, it’s just a matter of getting the U.S. cheese and other dairy products in there. One initiative targets the fitness industry through a whey protein subscription program. Marilyn Hershey of Pennsylvania said this mission comes down to one word: relationships. Hong Kong. Photo credit: Cheri Chapin. Hershey noted that, more than one out of seven milk tankers leaving American farms end up in products and ingredients sold in other countries, and she believes the best is yet to come.